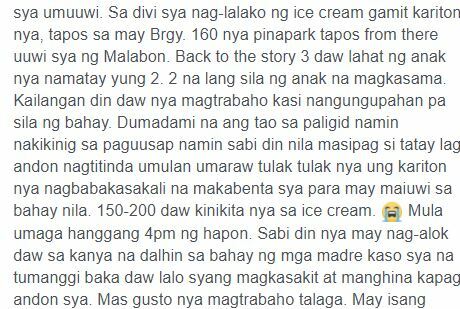 Home / News / Stories / Viral / Matandang Nagtitinda ng Sorbetes sa Tapat ng 168 Mall, Nabago ang Buhay nang Makilala niya ang Babaeng Ito! 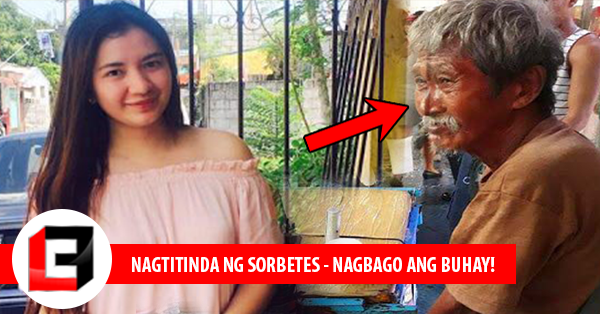 Matandang Nagtitinda ng Sorbetes sa Tapat ng 168 Mall, Nabago ang Buhay nang Makilala niya ang Babaeng Ito! 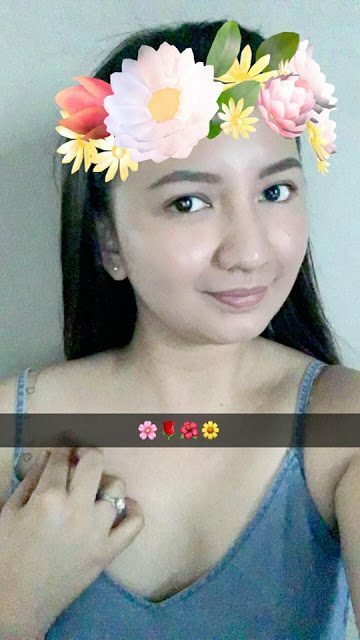 It’s no secret that the world we’re living in today is already filled with selfish people who no longer care about other people. 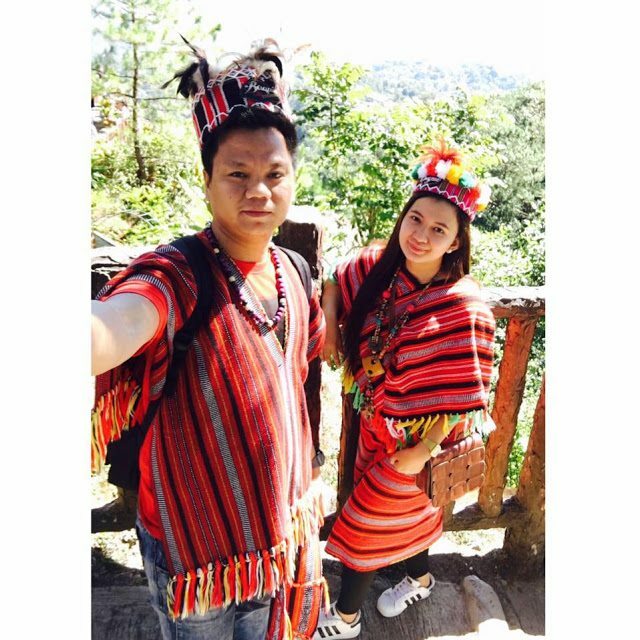 These days, it sure is rare to find someone whom you can run to during the worst days in your life. 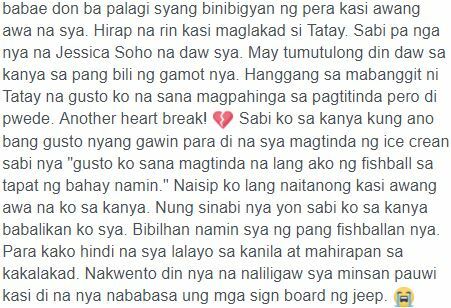 However, we have here this story that will surely restore your faith in humanity, plus, it will leave you in tears! 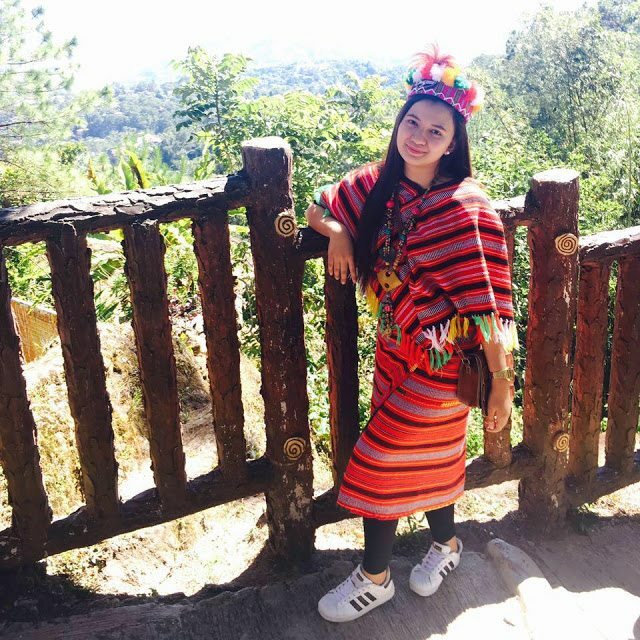 A netizen named Joanna Marie Armas Adviento has recently posted a couple of photos on her social media account, along with the lengthy caption that talks about the story behind the viral photos. 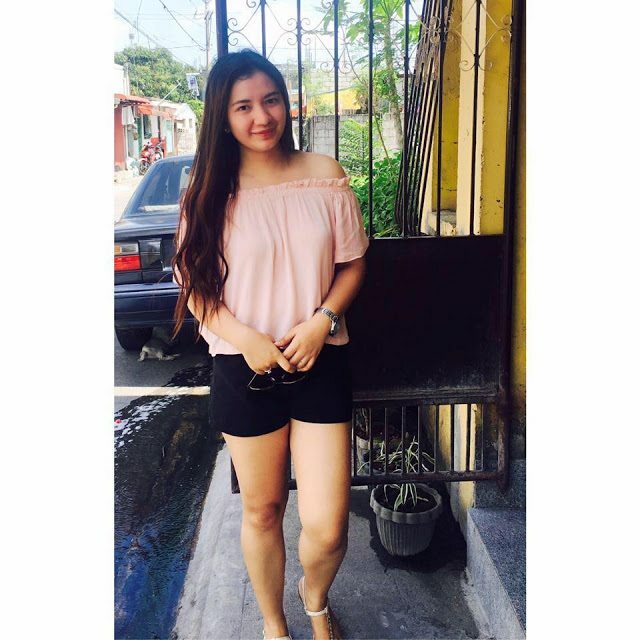 According to the viral post, she went to Divisoria with her boyfriend to buy something. 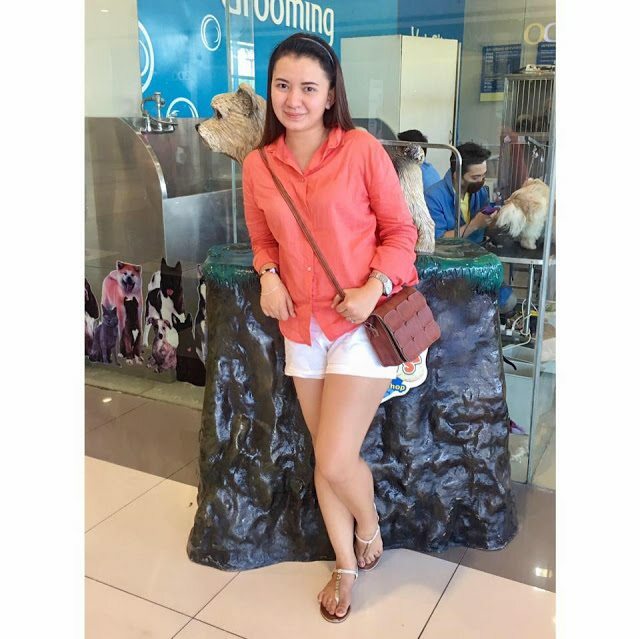 When they’re done shopping, they noticed an old man in front of the 168 malls. 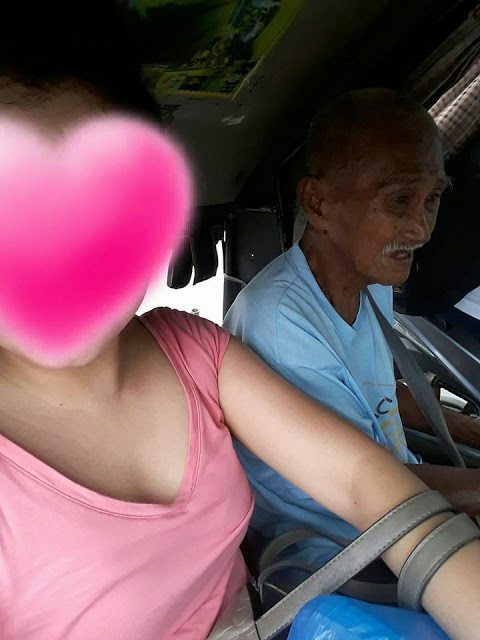 When she saw the old man, she instantly noticed that the old man was in pain. 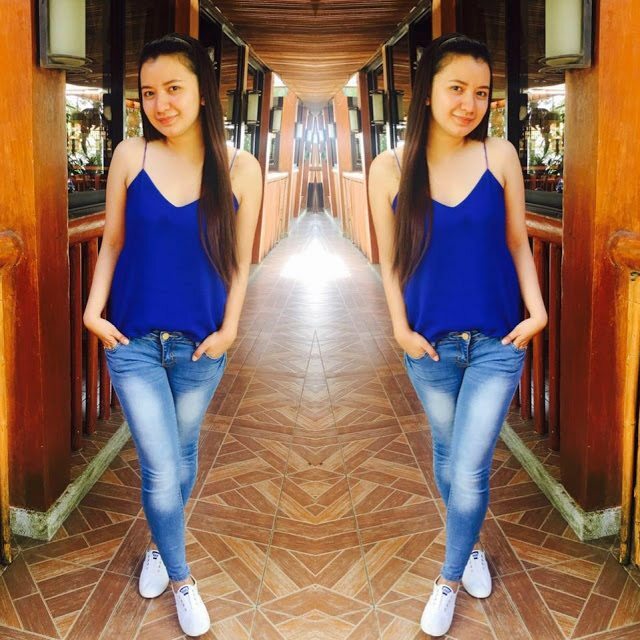 She even stated that she couldn’t help but stare because she feels that there’s something wrong. 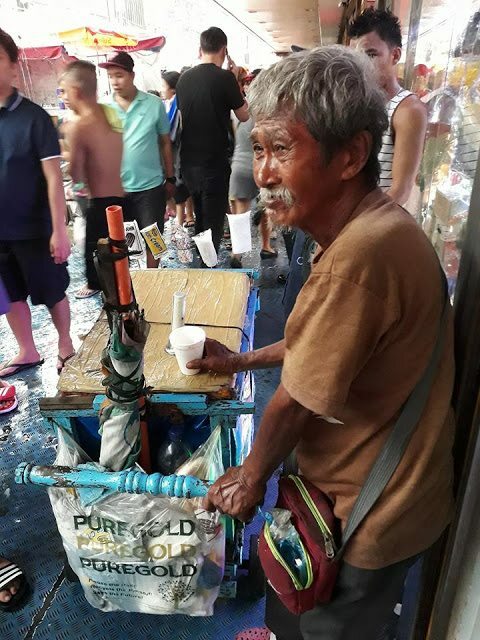 Adviento then found out that the old man who’s known by the name Mario Ricardo Jr. is already 77 years old and he’s been selling ice cream for 44 years now. 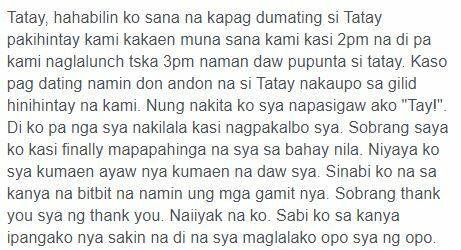 She also found out from the vendors that the man had to drink his medicine but he can’t since he hasn’t eaten something yet. 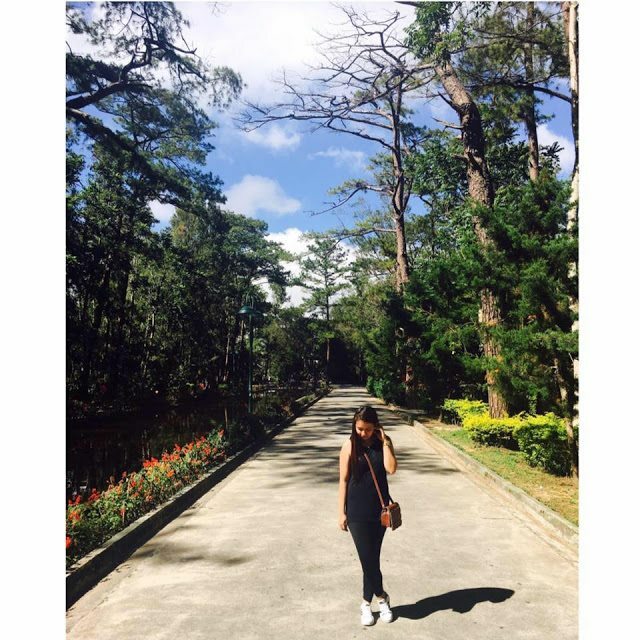 Adviento realized that she had to do something to help the old man. 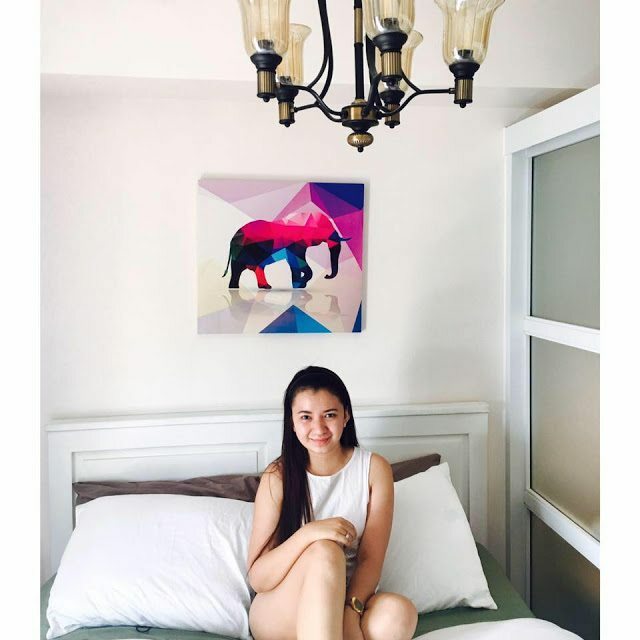 “Tay. 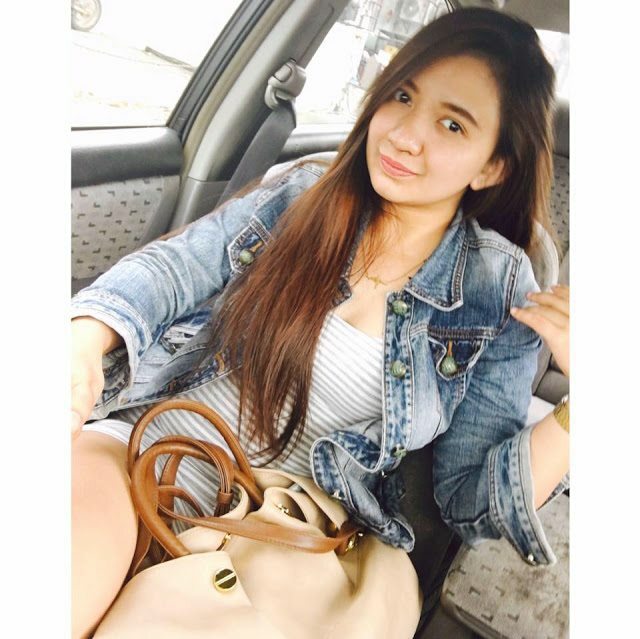 Ok lang ba kahit tinapay at kape lang?” She asked. 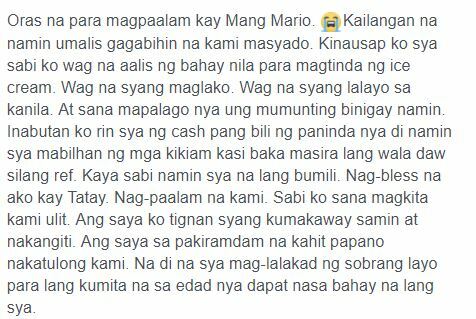 Mang Mario then told her that it’s okay since all he needs is to have something to eat before he takes his medicine. 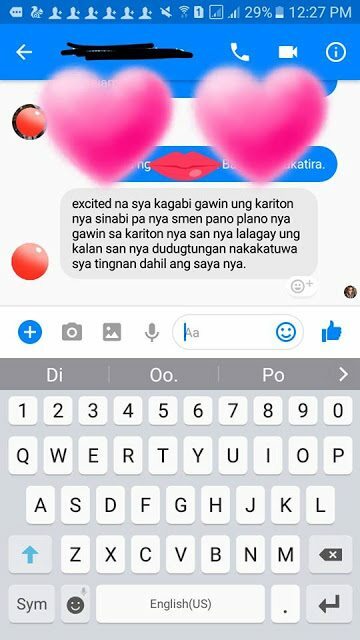 She then had a good conversation with Mang Mario where she found out that he’s a father of three but two of his children are already gone and he’s only living with the one who was left with him. 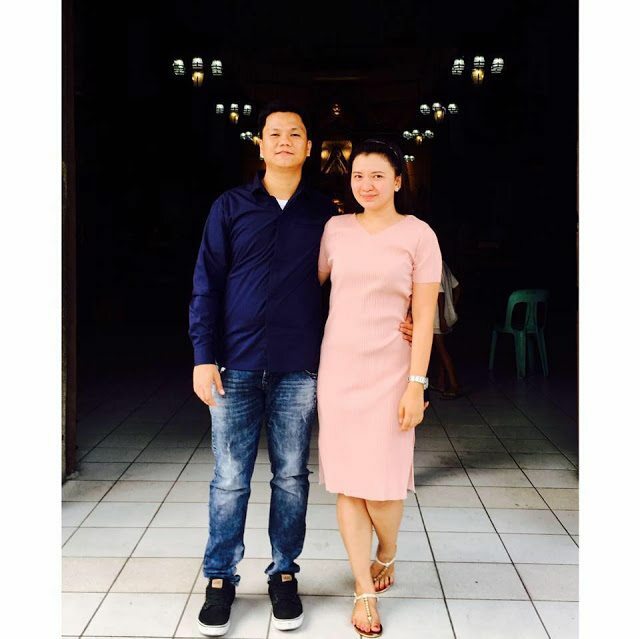 This woman also found out that a lot of people have already asked him to live with the nuns but he refused their offer since he doesn’t want to just lay down and do nothing. 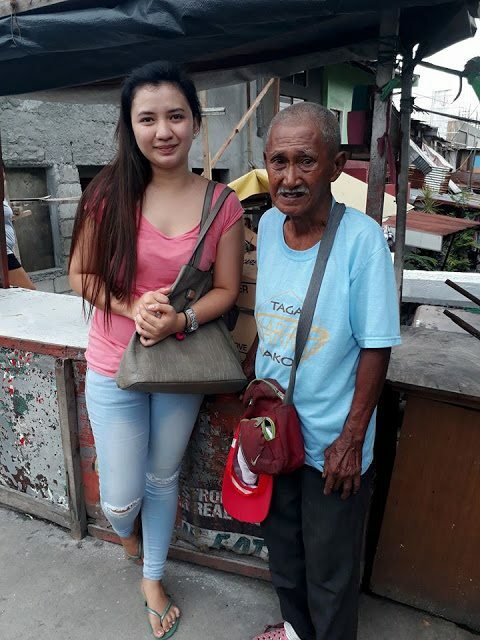 Mang Mario also told her that he already wants to stop selling ice cream and just wants to sell fish ball near his home. 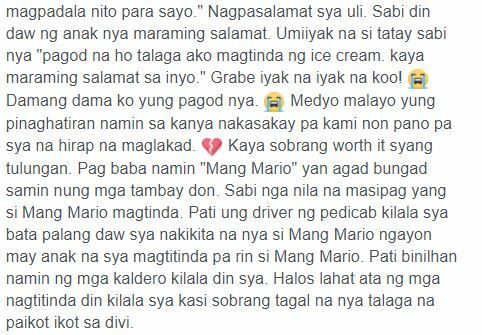 Since Adviento had already realized that Mang Mario has been experiencing a lot of struggles in life so she decided to just help him out. 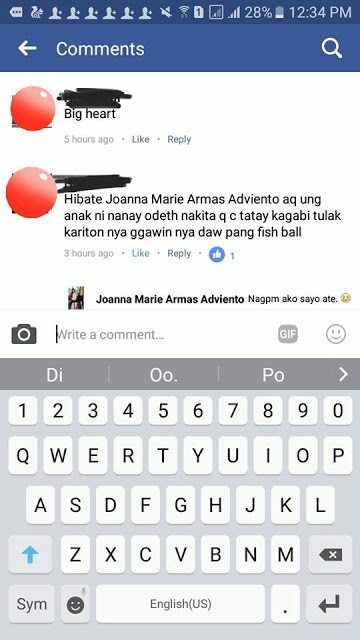 She told Mang Mario that she’d help him fulfill his wish to sell fishball. She also added that they’d bring everything that he’d need the moment they return. On the 18th of July, they’ve returned. 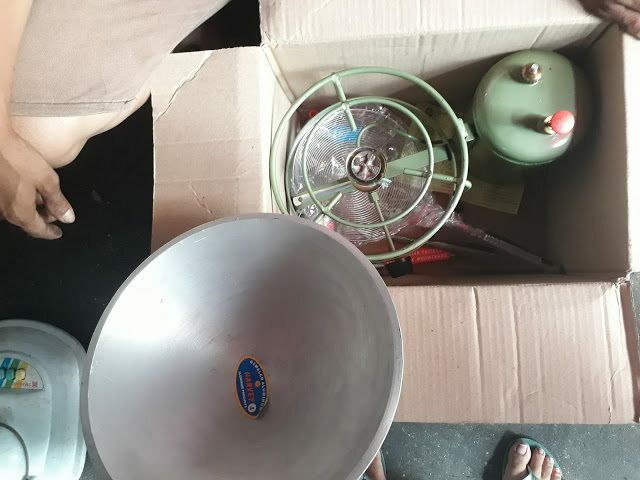 They bought a stove, a pan and everything that he’d need for his new business. 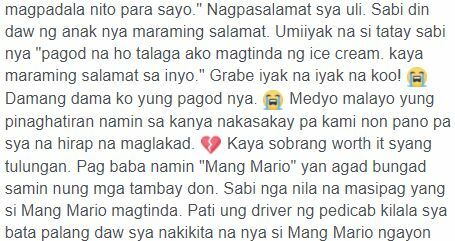 Mang Mario repeatedly thanked them for everything that they’ve done for him. 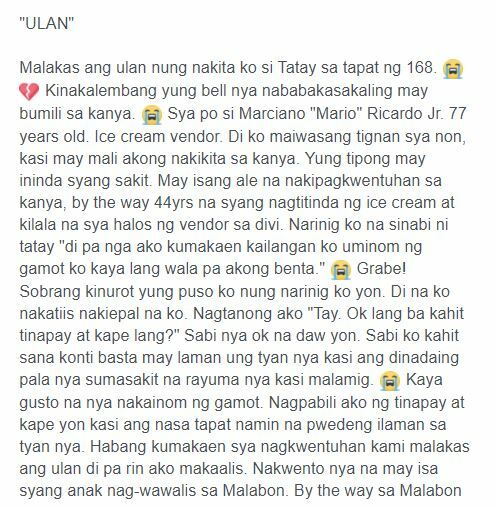 Mang Mario then promised her that he’d never sell ice cream again and that he’d just stay with his child in Malabon. 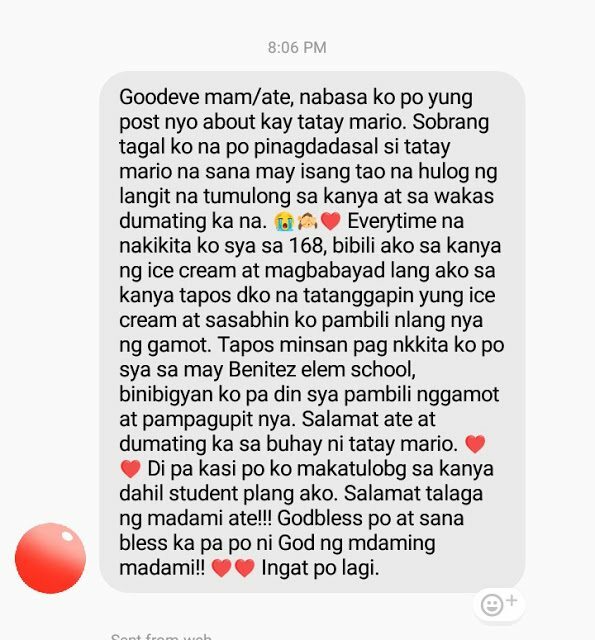 “Pagod na ho talaga ako magtinda ng ice cream. 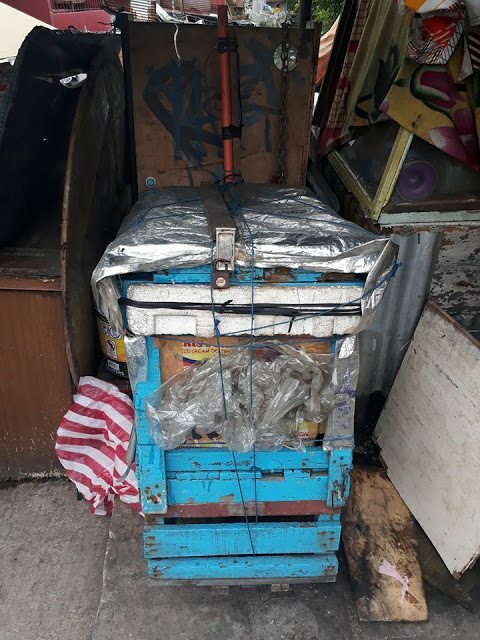 kaya maraming salamat sa inyo.” After hearing those words from the former ice cream vendor, Adviento couldn’t help but cry.